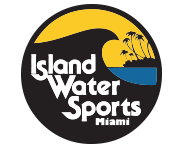 Skateboarding has been a part of Island Water Sports since it first opened in 1981. In the thirty years Island has been in business we have seen many changes in the boards that are used. In the early 80’s names like Powell Peralta, Vision, and Schmitt Stix were the Brands that dominated the sport. All the boards were 9 to 10 inches wide with no concave and mainly meant for ramps. Thirty years later brands like Element, Girl, and Plan B now dominate the sport. All the boards are 8 inches wide, filled with concave, and mainly meant for street. Although the shape and construction of the boards have changed, one thing that hasn’t is our commitment to skateboarding. With over 200 decks, hundreds of trucks and wheels, and a brand new skate section dedicated only to longboard skateboards, you can guarantee you will always find what your looking for.